Our historic bed and breakfast is perfect for romantic rendezvous, relaxing retreats and gourmet getaways. Our Taste of the Mountains Cooking School has a New Hampshire legacy, offering hands-on cooking classes sure to make at-home cooks into chefs and entertainers extraordinaire. Be sure to visit our new Spa to revitalize your spirit, melt away your stress and continue your journey towards a more energized and healthy lifestyle. Whether you're skiing, climbing, hiking or simply reading books by our fireplaces - we'll provide some company and tips on hidden gems! 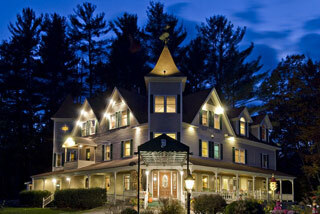 Enjoy the warmth and elegance of this romantic New England Inn. 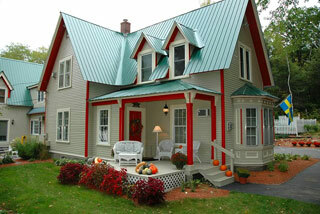 Our bed and breakfast is located in North Conway, just a stroll away from one of the most breathtaking views of Mt. Washington in the valley. We invite you to share our completely refurbished 1842 country cottage. Which now embodies the elegance of the past, yet provides our guests with the luxury and comfort of modern amenities. We cater to couples seeking romance, outdoor adventure, relaxation and privacy. The Cabernet Inn offers something special for everyone. Let us make your stay in New Hampshire truly memorable. Tucked away on a quiet wooded lane just off the village's main route, located within walking distance of the heart of North Conway, yet removed enough to provide the peace and relaxation of New Hampshire's natural beauty. For outdoor enthusiasts, the inn is conveniently located near trailheads, pristine sightseeing opportunities, and exhilarating outdoor adventures. From New England's finest ski resorts, to a world of mountains to climb, rivers to explore, and woodlands to discover, the thrill of nature comes alive. You'll find hundreds of factory outlet stores and specialty shops, as well as restaurants and pubs nearby. 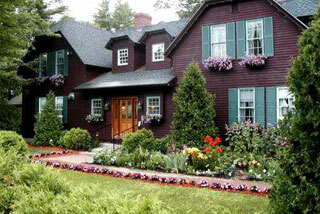 Sugar Hill Inn is a romantic getaway known for fine dining, original art and stylish guest rooms and cottages. Whether it’s your first romantic holiday away together, a second honeymoon or a parent that just needs a break, the Sugar Hill Inn is a Child Free Zone. Come discover 100 waterfalls, 1,200 miles of hiking trails, covered bridges, Mount Washington (the highest peak in the Northeastern United States), the famous 800 ft Flume Gorge and scenic Kancamagus Highway. Enjoy the bed and breakfast experience with all the amenities of a full service inn.